The former member of the House of Representatives who is also gubernatorial aspirant under the umbrella of All Progressive Congress APC Hon. Mashood Mustapha has been arrested over allegations of threat to the life levelled against him by a former loyalist. If you could remember last week Hon. 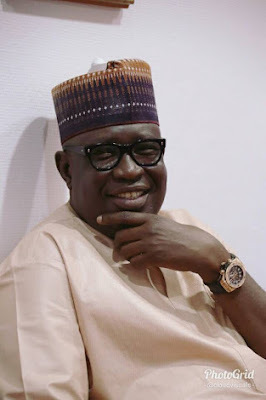 Mushood Mustapha was in a news for leading squad of local vigilante (OPC) to shotdown his ward party secretariat and which the news was later debunked through a press statement issued by his media aide. Presently Hon.Mushood Mustapha is cooling his feet at the Kwara Command of the Police Headquarters. Mashood was said to have threatened the life of the woman (name withheld). But unknown to Mashood, the woman had former's voice duly recorded. It is this voice note that has put the gubernatorial hopeful in trouble. It is not sure whether the controversial politician will be released today from police cell.